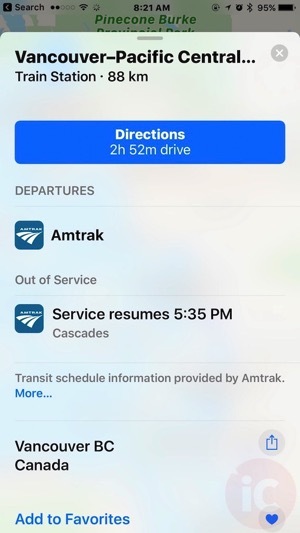 Apple Maps recently added support for Amtrak stations in Canada and the USA, as spotted by a MacRumors reader. Amtrak’s station in Montreal is also listed, adding support on top of Toronto’s Union Station from last fall. The Amtrak Cascades route in the Pacific Northwest takes passengers from Vancouver to the United States, hitting stops such as Seattle (Washington State) and Portland and Eugene, in Oregon. 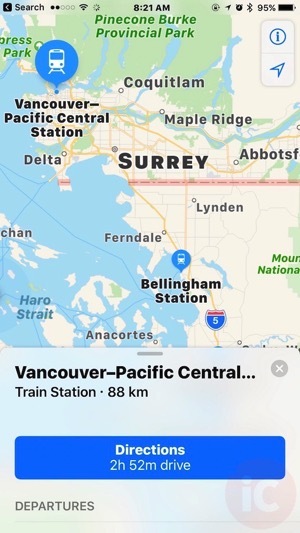 Apple Maps continues to be updated with more regional info, as back in August Transit support was added for Victoria and Vancouver.